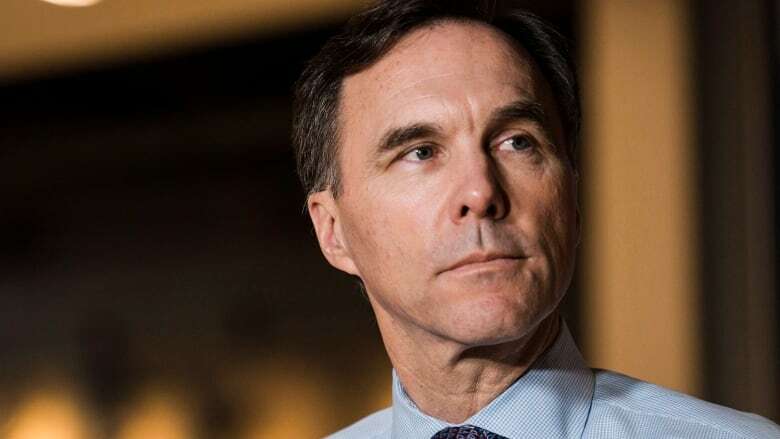 Finance Minister Bill Morneau delivers his third federal budget today, a spending plan designed to promote gender equality, improve living conditions for Indigenous people and fortify Canada against cyberattacks. Finance Minister Bill Morneau delivers his third federal budget today — a fiscal plan meant to strengthen the economy by promoting gender equality and bringing more women into the workforce. The budget is also expected to boost science and innovation, improve living conditions for Indigenous people and fortify Canada against cyberattacks. Coming one year before the 2019 pre-election budget, this Liberal spending plan could be more about tweaks, minor initiatives and shifting allocations than big, bold new program spending. Allan Maslove, public policy professor at Carleton University, said he expects this budget could be the least significant — and least interesting — to come from Morneau so far. With the economy performing relatively well, Maslove said, the government is under no significant pressure to address an economic crisis. Any new big ticket items likely will be reserved for next year to keep them fresh in voters' minds, he said. "My guess is that this is going to [be a] fairly stand-pat, stay-the-course budget," he told CBC News. "If you look back at previous government cycles, you see a big splash in the first budget, then it tends to taper off, then they come back with another big splash before the next election." The budget is also expected to announce a new advisory council to look at options for creating a new national pharmacare program, though no money will be allocated this year. Eric Hoskins, who resigned as Ontario's Liberal health minister, will steer the council, consulting with a wide range of stakeholders, provinces, territories, Indigenous groups and experts on how best to proceed with the national program. The council is expected to report back in 2019, before the next general election is held. In a budget crafted using a government-wide gender-based analysis, expect measures to improve parental leave and close the gender labour gap by knocking down barriers that prevent women from participating in the workforce. The goal is to empower women — but also to address looming productivity challenges caused by an aging population. A new "use-it-or-lose it" incentive would allow fathers or non-birth parents to take parental leave, allowing women to return to work earlier after having a baby. While it may not be a line in the budget, the government is also expected to discuss next steps — and possibly a price tag — on a plan to legislate pay equity for employees in federally regulated workplaces. Both measures are geared to further close the gender gap in a labour market that has already seen a dramatic shift in the last 40 years. In 2017, nearly 83 per cent of women aged 25 to 54 were in the workforce, up from less than 54 per cent in 1977, according to Statistics Canada. That compares to 91 per cent of men in the same age group active in the workforce last year, down from just over 94 per cent in 1977. Tammy Schirle, an economics professor at Wilfrid Laurier University, said that's still a "sizeable gap" and she expects to see an expansion of the working income tax benefit, which subsidizes very low-income earners. It could be expanded by raising maximum benefits or raising the thresholds where people start losing the benefit. "I think a good expansion would also allow more than one spouse to claim the benefit. As it is, the subsidy is really designed to support the main earner in a family, not the secondary earner, who is typically female," she said. Expect to see new and continued investments in the budget to improve living conditions for First Nations, Inuit and Métis following an emergency meeting in January. Watch for more money for a long-term plan to build and repair reserve housing and water infrastructure. Reports have said hundreds of millions of dollars will address overcrowded, crumbling homes that can lead to health problems. The government is expecting to meet its deadline to reduce the number of boil water advisories on reserves with a previously earmarked $1.8 billion investment. Watch for scientific research funding, following on recommendations from a blue-ribbon panel that reviewed the state of science in Canada and urged new money for fundamental science. Former University of Toronto President David Naylor, who led the review, called for phased-in investments over four years until there is $1.3 billion more for researchers, scholarships and facilities. The panel also recommended creating a new national advisory council on research and innovation and a co-ordinating board for Canada's research agencies. There also could be measures for innovation — to adapt for the workforce of the future in a global economy increasingly shaped by automation. The budget will also provide $50 million to help local journalism at a time of transformative change in the industry. With election tampering, hacking and cyber threats on the rise, the government is expected to spend to fortify Canada's electronic defences against foreign interference in the 2019 federal election. The federal government is also expected to make significant investments to meet United Nations targets to protect the country's lands, inland waters and oceans. A coalition of 19 environmental organizations has called on the federal government to use the budget to invest $1.4 billion over the next three years and another $470 million a year after that. The government is unlikely to meet its 2015 campaign promise to balance the books by 2019: the fall fiscal update projected a deficit of $19.9 billion in 2017-18 and $18.6 billion in 2018-19, representing just under one per cent of GDP. The Conservatives were already criticizing the budget for out-of-control spending before it was tabled. Finance critic Pierre Poilievre accused Morneau of creating budgets that are more about throwing around money than achieving good results. Lowering taxes for business and entrepreneurs would help all Canadians, including women, he said. "Our goal should be to allow every Canadian, of every gender, to grow their take-home pay by keeping more of their earnings," he said. "Unfortunately, this government, to fund its spending addiction, is doing the opposite." The NDP released its own pre-budget wish list, calling for a crackdown on offshore tax havens that would free up billions for national dental and pharmacare, and major investments to improve Indigenous living standards. "These are the kinds of investments you can make when you have a fair tax system, but we don't have one right now," NDP finance critic Peter Julian told CBC. Julian called it a "watershed" budget which will reveal the Liberals' level of commitment to reducing family debt loads and inequality. The CBC's Hannah Thibedeau takes your questions ahead of today's federal budget at 1 p.m. ET at Facebook.com/CBCPolitics live from Parliament Hill. Live coverage continues at 3 p.m. ET on CBC News Network and cbcnews.ca with a pre-budget special hosted by Rosemary Barton, and our budget specials on CBC Television, cbcnews.ca, Twitter and CBC Radio One at 4 p.m. ET. Find more programming details here.